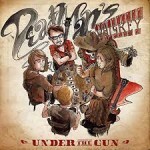 Share the post "Quick plays: DEAD MAN’S WHISKEY, HIGH TREASON, HARBOTTLE & JONAS"
I was surprised to find out that Dead Man’s Whiskey are a British band as their sound is more aligned with the likes of Black Stone Cherry and has a heavier Southern Rock feel. The band now reissue an expanded version of their debut album “Under The Gun” and the whole thing has also been re-mastered for the occasion. The two new tracks, “Raising Hell” and “Racing Bullet” are welcome additions, these sit alongside “My Year”, “War Machine” and “Hoe Street (E17)” as highlights on the album- the latter should have been called “The Ballad of The Victoria Line” and is the only song I can think of that is about Walthamstow. The ultimate highlight on “Under The Gun” though is “My Year”, a slower track that sits at the Skynyrd end of things. 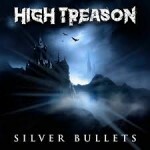 High Treason are another of the seemingly endless procession of bands that never quite made in back in the heyday of the New Wave of British Heavy Metal. Their one and only single ‘Saturday Night Special’ became a bit of a collectors item. The band reformed in 2012 which saw original guitarist Malcolm Scott joined by Peter Yeomans (vocals), Martin Raggett (bass), Paul Bailey (guitar) and Hudson Deans (drums). They released an album ‘Everything’s Gonna Change’ in 2016 and now three years later we have ‘Silver Bullets’. Sound wise it is classic British hard rock in sound, in particular the opening salvo of ‘Silver Bullets’ and ‘Looked Outside’ recall Burn, whilst ‘Crosshairs’ recalls latter day UFO. Peter Yeomans has a strong, melodic vocal whilst guitarists Malcolm Scott and Paul Bailey add plenty of riffage to the music. 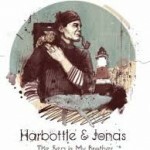 Devon based duo David Harbottle (vocals, acoustic guitar, banjo) and Freya Jones (vocals, harmonium, concertina) release their fourth album ‘The Sea Is My Brother’, which as the title suggests is a series of songs connected by a nautical theme. As with many a folk album there are tales of death and despair, along with some up-lifiting moments and a touch of humour – ‘The Saucy Sailor Boy’! The real stand out is ‘Fr. Thomas Byles’, based on the story of Fr. Thomas Byles who remained on the Titanic to absolve all passengers from sin before facing certain death. The vocals are sublime and the chorus a memorable one. ‘Lost To Sea’ recalls the Chinese cockle pickers who died in Morecombe Bay in 2004. This entry was posted in ALBUM REVIEWS, ALBUM REVIEWS (Mobile), All Posts, Quick Plays and tagged album, Dead Man's Whiskey, folk, Harbottle & Jonas, hard rock, High Treason, NWOBHM, review, rock, Silver Bullets, southern rock, The Sea Is My Brother, Under The Gun Reloaded. Bookmark the permalink.